You may trust your money is safe and sound sitting in your bank but advances in technology now enable scammers and fraudsters to be more successful than ever. In 2014 it was estimated that economic crime is costing New Zealand up to $9.4 billion a year! Read on to become aware of the many ways your finances could be in danger. A lot of shops, airports and other public spaces offer the bonus of free Wi-Fi, but is it safe? You should always think twice before making purchases whilst connected to an open browser. It is possible for people to access and steal your information whilst using an open network. 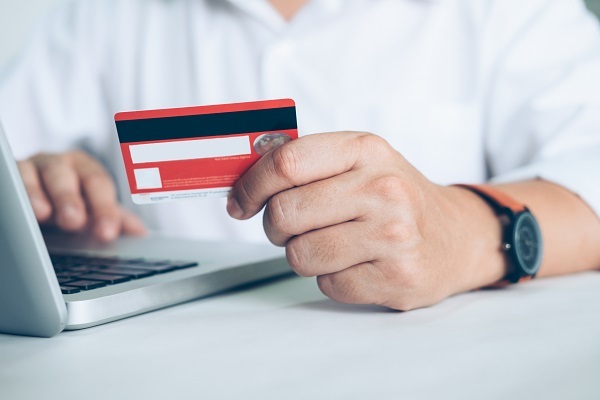 Wait until you’re connected to secure network to do all your purchasing. Keep in mind hackers could access your Facebook and Twitter account too! Millions of apps are available to download, making our life that little bit easier. Be cautious when downloading certain apps to your phone or tablet. Specifically apps related to shopping or financial management. These apps may seem harmless but be sure to check their security protocols before giving out personal details. Most financial institutions have strict security systems in place to protect your information. If an app does not provide security information, this is a red flag! You should avoid using these apps for financial uses. Most of us have experienced the frustration of phantom callers. We are aware they exist but phantom callers are still managing to scam many kiwis. Phantom callers often pretend to be from your bank or even the police. If you are unsure whether you are being scammed over the phone, hang up and call the company back to ensure you are speaking to the correct company. In New Zealand many fraudsters have taken to using ATM machines to steal our pin numbers. Tactics include a skimming device that reads your information when you swipe your card and the use of hidden cameras. Some fraudsters will even stand nearby to get a peek of your pin! The information they obtain is used to create a duplicate credit card giving the fraudster access to your account. Try to use online banking to check your balance and your statements. You should check your statements regularly to see if it matches with your spending. If you see any unusual behaviour contact your bank immediately. When using an ATM, make sure you cover the key pad with your hand when entering your pin.